One of the reasons people like the reality show “COPS” is the fact that it’s one place where you’re guaranteed to get a close-up look at the shallow end of the gene pool. If it isn’t two shirtless guys fighting over the last beer, it’s a dude with a broken arm smoking a joint in the emergency room. 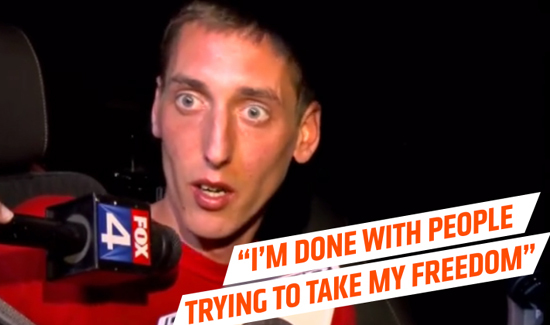 But there’s a new kid on the block as far as “dumb crooks,” and he was recently given his five minutes of fame after leading police in Texas on a car chase that lasted forever.